Features: small size saves board space and cost. Resettable circuit protection. Fast time to trip. Low resistance. 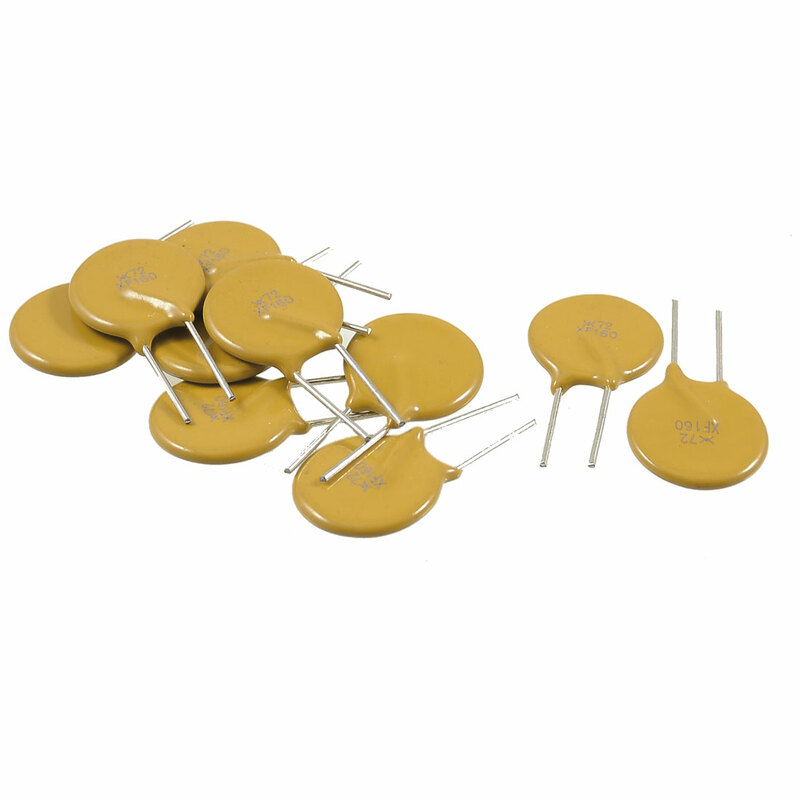 Resettable fuse is a polymeric positive temperature coefficient (PPTC) resettable fuse. Widely used in computer, multimedia, industrial equipment, general electronics, com-communications and networking. Disc Dia. : 15.3mm/ 0.6";Pin Dia. : 0.7mm/ 0.027"